~ 「TGIF!」 Idol♡s Unzipped on way back Fridays Presents Ribbon’s Complete Music Video Collection (volume 116) | モーニングBerryz48…the morning after….. "Always wear protection before reading…(^q^)." CAVS WIN!!!!! (okay just needed to get that bit out of my system as we now return to our regularly scheduled post =) ). Tonight’s Unzipped♥ post is a most special one as I’m covering an idol group of yesteryear which I hold most close and dear to my heart. I hope you will indulge in the music and visuals fully as I assure you it will all be very well worth your time. And great music is timeless …so let’s begin!~! Ever had a crush~♥ on a celebrity? And that celebrity just happens to be a member of a most popular band? Well for Nagasaku Hiromi who’s best known for her modeling and award winning acting in both movies and dramas, that celebrity/ band member crush came rather in the form of celebrity crush on celebrity as Nagasaku herself is pure celebrity! And that band member I’ve mentioned? Well it was none other than Mr.Children drummer Suzuki Hideya!! And this coupled relationship was happening way back in the latter 90’s and into the early millennium and from an interview from back in those days I read Nagasaku Hiromi expressing the details of just how they happened to meet originally. Well it seems that Nagasaku had a crush on the man bashing the skins for Mr.Children and actually went to attend a concert which just happened to create the venue of their very first meeting! And while Nagasaku Hiromi’s now happily married to another, it’s still nice to reminisce of just how thrilled I was back then to learn of such a chance encounter which began with just a crush but became so much more in a sort of fairy tale aura of ways….as you just never know as your crush may indeed return those feelings you’ve secretly had till then and being cute like Nagasaku, all she needed to do was show up~. Just a little sweet memory that I thought I’d share with you as you most likely already know of my insatiable Mr.Children♥ appetite and it’s also a perfect reminiscing for leading into tonight’s Unzipped♥. The photos atop and just below are scans from my copy of Nagasaku Hiromi’s “UK. ASAGAN” shashinshuu which I imagine is a bit of a rarity these days and that in finding a new copy. This photo book published by Bunkasha which is known for their let’s just say…spicier style photo books was released on May 1st, 1997 and that coming just a few years after the break up of idol group Ribbon. 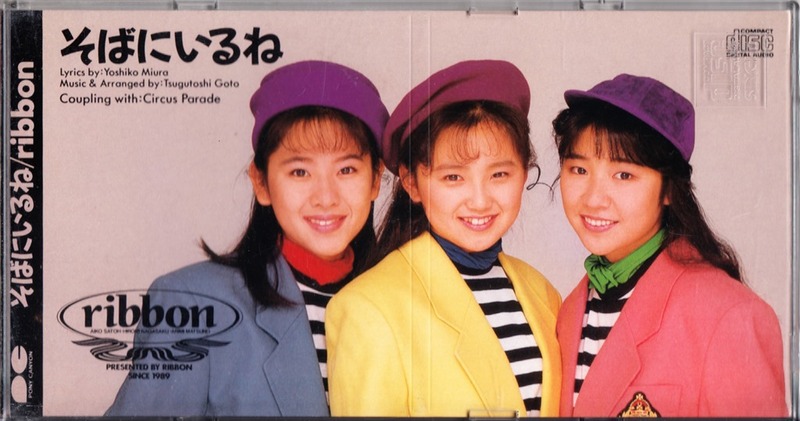 Ribbon was the sister group to CoCo dating back to the origins of the legendary Otomejuku idol projects as both groups debuted in 1989 becoming two of the most popular idol groups into the early 90’s. Through auditions Otomejuku was born and from it expanded the creation of both groups and solo acts and while CoCo was indeed the cutesier produced and presented of the two main group acts, Ribbon became known eventually as the much edgier and rock~n~rollin’ of the two as many of their singles and album tracks moved from pure~j~pop into pure~j~rock into the latter years of the groups’ discography. 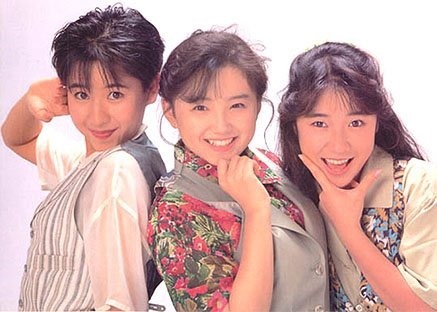 Ribbon was a trio of whirlwind talent with Nagasaku Hiromi (above center), Satoh Aiko (left) and Matsuno Arimi (right) creating a tour de force of vocal talent which saw equality on all levels as each could easily hold their own and appropriately the vocal lines distributed very much in the same manner with none being a central member for that matter. Hiromi, Aiko and Arimi also possess such vastly unique tones and nuances in their voices that identifying each of their solo lines becomes quite the simple affair after learning just a few of their songs over a short period of time and speaking of vocal ability, the trio of Ribbon till this day I believe remains as one of the most talented and impressive. 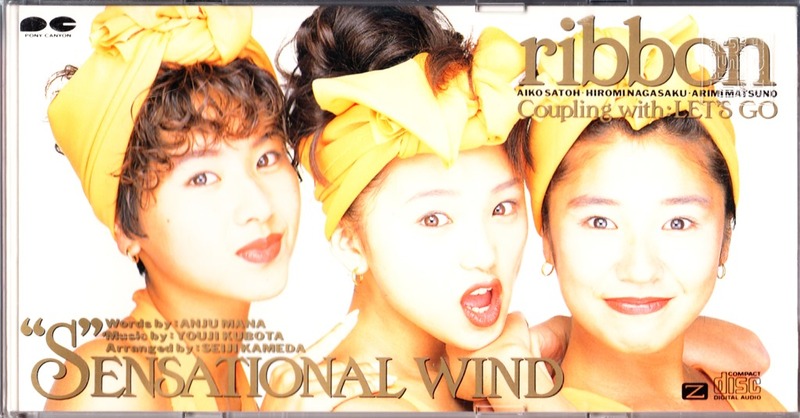 “S”ENSATIONAL WIND was released on September 2nd 1992 and was Ribbon’s 10th single release. 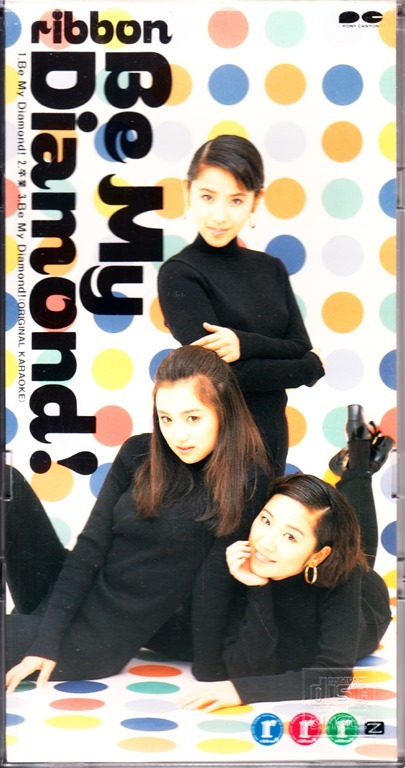 “S”ENSATIONAL WIND is also a member of my all time top 15 J~pop favorites♥!..and for all of the very same reasons mentioned just prior for “Be My Diamond!” This song’s composition structure is just awesome!!! Love the classic ‘beach’ styled guitars and the way the bass thumps and jogs into a perfect driving rock cradle beneath it all, and as always with Ribbon, the girls’ voices here so immaculate in both harmonies and solo throughout! This video’s really cool too as it was shot with a camcorder look for much of it and you can really learn Hiromi, Aiko and Arimi’s personalities as this music video is pure candid fun all the time x’s ten! 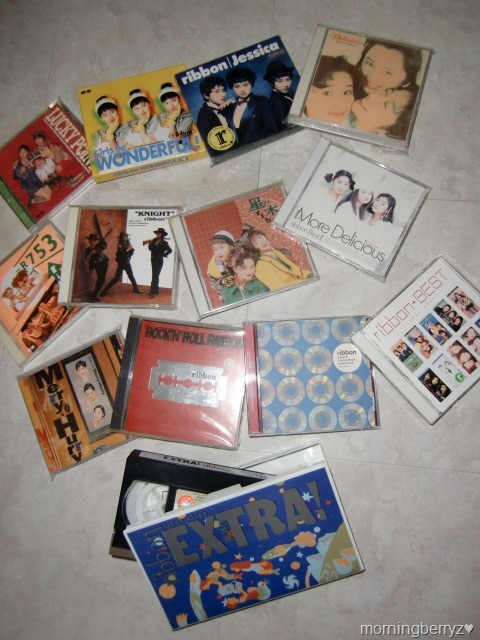 my Ribbon singles collection complete…. ..and my Ribbon album collection complete~. A most candidly fun mv and the Ribbon girl’s are surely getting their rock on throughout this out of the box composition!! 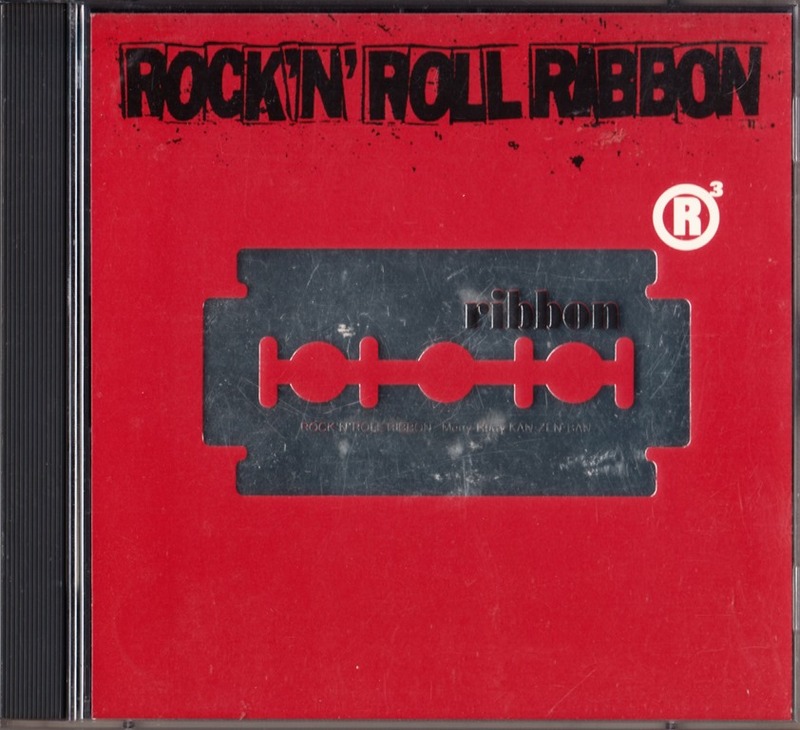 “ROCK’N’ROLL RIBBON” was released on March 18th, 1994. And another cutely candid MV by Ribbon, here the girls go on a road trip and the song itself ….there’s a bit of caliente goodness happening here! 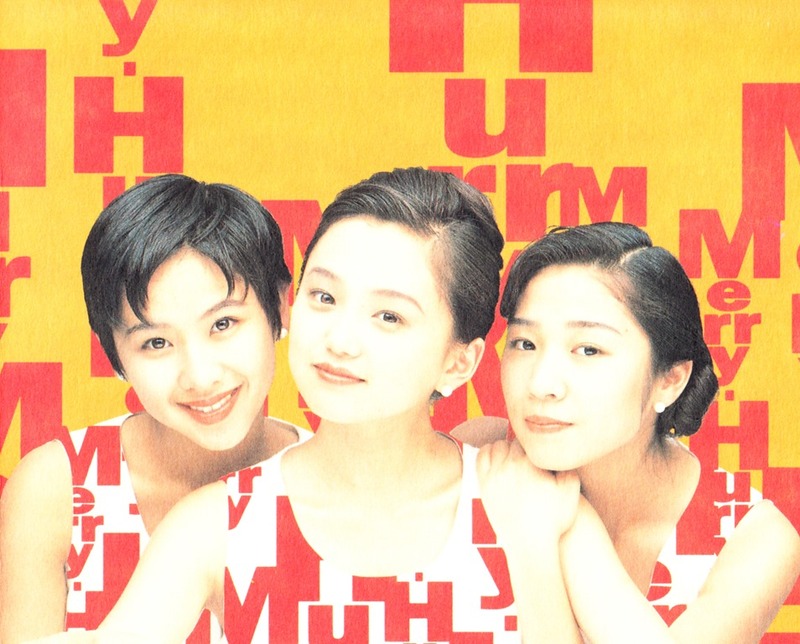 “Taiyou no yukue” was released on March 3rd, 1991. Polished Ribbon at their very best here as there’s a great suave~vibe to the girl’s vocals no question! Also from their album “ROCK’N’ROLL RIBBON” which was released on March 18th, 1994. The nostalgia of a smoky nightclub of yesteryear serves as the perfect set for Ribbon’s single “Do You Remember Me?” …complete with those ultra cool mics and this is easily one of Ribbon’s very best harmonized songs which gives us the J-pop take on the doo~wop era gone modern. “Do You Remember Me?” was released on December 2nd, 1992. The complexity of the pre-chorus harmonies which overlap beautifully speak for themselves as Ribbon presents even a tad bit of swimsuit gratuities here ^^. “Deep Breath” was released on February 21st, 1992. Gotta love pvs from early 90’s as first it’s mysterious face-slapping =O, then an outdoor barbeque with shades of a concert performance all tidied up with a bit of hanabi play =). 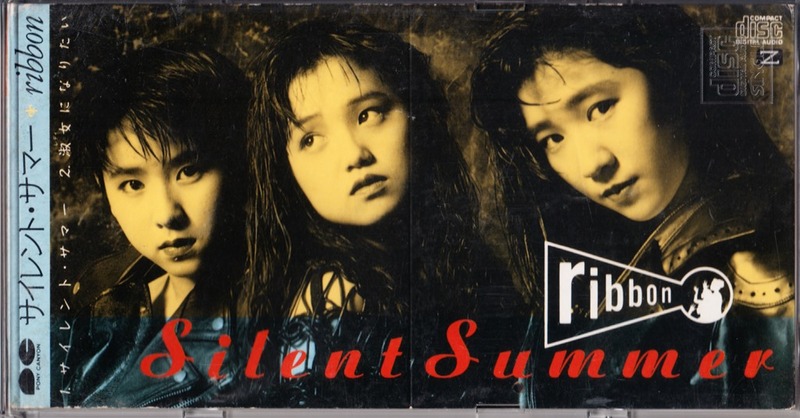 “Silent Summer” was released on June 26th, 1991. A gorgeously melancholy melody makes for a love at first listen song here! And just as sweet are the girl’s vocals which harmonize with the best of them and the vocal arrangement here is superb!! 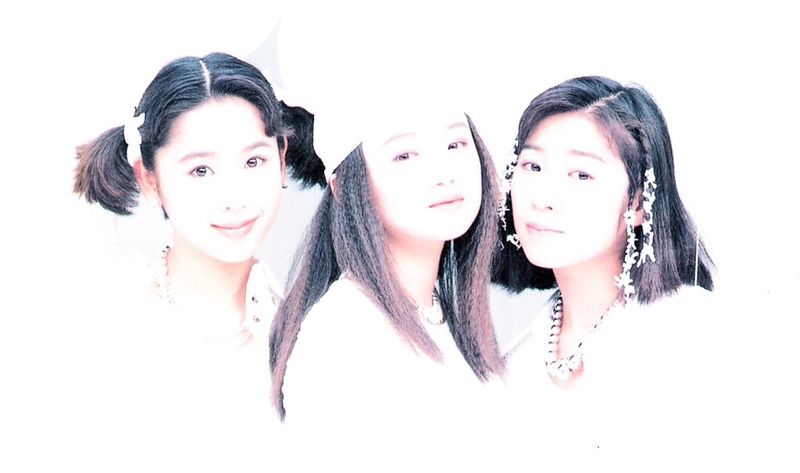 It’s notable that even at this early stage of their careers, vocally …Ribbon was quite superior in the realm of J~Girl groups. Truly one of my most favorite ballads of all~time easily!! 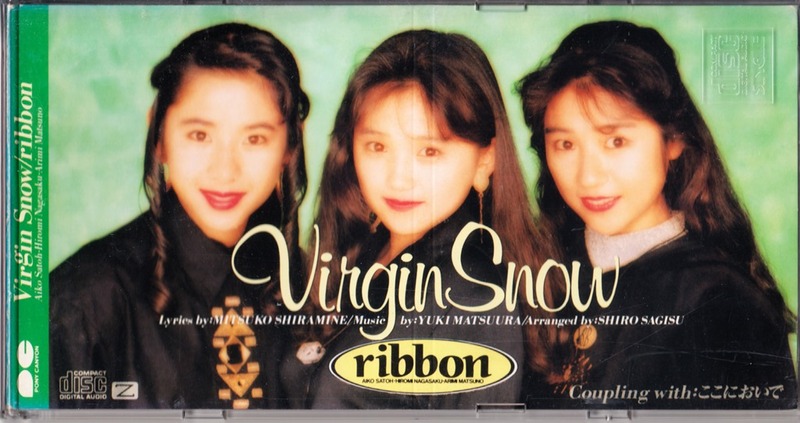 “Virgin Snow” was released on November 14th, 1990. Such a cute~cute and catchy song which reassures us that the 80’s visuals of music video making was alive and well in Japan into the 90’s =)! Sure the keyboards and drum styling may have the essence of being dated, however it’s this song’s genki melody which screams golden age J-Pop as it hits with hook~line~and~sinker upon the arrival of the pre~chorus into the great chorus itself!! “Anoko ni yoroshiku” was released on July 25th, 1990. Here’s Ribbon’s very first two singles back-to-back and do note the golden age of J-pop dance choreography as it appears from time to time within AKB48’s choreography likewise, a true testament to AkiP’s love and planned resurgence of this era in J-music. These music video clips are pretty short so I ended up combining them together here as they rather go seamlessly together musically. “Little Date” was released on December 6th, 1989 while “Soba ni iru ne” was released on April 11th, 1990. And fittingly we end here with the mv credits rolling plus an additional song! …as Ribbon’s discography scrolls down your screen. Gallery | This entry was posted in Idols♥ unzipped, Japanese idols, J~Pop and tagged idols♥ unzipped, japanese idols.j-pop, matsuno arimi, nagasaku hiromi, ribbon, ribbon music videos, satou aiko. Bookmark the permalink. RE: the “Deep breat” video. Was it their intention to make the viewers heart leap out of their chest and then explode? Haha back in the day I guess this would have been considered a bit racy? =P Yup those camera angles coupled with the cascading water flowing freely down ….well you’ve already seen it! I love the music and video for S”ENSATIONAL WIND. That “home movie” stuff kills me. Were they trying hard to be so endearing, or is that just the way they are? (Warning: a crazy person talking here): It takes me back to the past which I never had. Sweet nostalgia and slipping sideways in time, visiting the places where I should have been. So that’s what those feelings were back then. I was missing them terribly without even knowing that they existed. If only there was a way to send a message back to the 90s to tell them that they are beautiful and that I love them. Ohhhh that is one of my favorites~♥!!!! Yup I love these candidly shot mvs too! lots of love for them as you really get to see the girl’s personalities come out naturally more so than with anything directly scripted so they’re always enjoyable this way! Oh yes they are sweet idols for sure and they had quite the fan-base back then supporting them. The song too is so so addictive and that “surf music” vibe going on is perfection~* here riding with an idol song! Great verse, great chorus what’s not to LOVE =). Mmm…. music for sure connects us to our past lives and the way we were at exact moments and days in time, wonderful how just hearing an older song can readily trigger those memories and it just reminds you of everything back then in an instant. Did you get a chance to check out “Be my diamond?” It’s an amazing song!! Catchy and their voices so polished and perfect~* …one of the very best -music melodies ever I think! Of course I recommend them all =D. If you have ever seen the cute cartoon “How the Grinch Stole Christmas” there is that scene near the end, when the Grinch has his epiphany. There is the line “They say his heart grew 10 times in size” and show his heart swelling in size and it breaks the monitor. The lyrics to BMD started getting to me this morning as I had cofffee. Day 3 is it now? Ha: I thought that I might watch the HKT48 clips you shared. Turns out I came right back to Ribbon. If you only have 20 spare minutes in the morning, you would want to be happy as happy can be made right? I’m not making one of my jokes here: If you ever ask yourself if you make a difference, … well you made a difference to this guy. A~wuh! that’s so cute! Day 3 and it’s like you’re now in Ribbon therapy~♥! And it’s the best kind, good for the soul. Un music should definitely move you and to have happy emotions enhanced by music, not much could be better and more soothing I think. BMD has a very cool nostalgic salute to those “shoo~bee~doo~bee~doo~wops♥~allulah days ^^ and the girls vocals all shine so much in this song …particularly Nagasaku Hitomi who’s just feelin’ it during her chorus solos and I always love it when I see her do that little “choo-choo” hand gesture as if to pull down on the chain as she ends the chorus. I had to order a Ribbon CD from CD Japan last night. I tried Amazon and eBay but all they had were real ribbons, not the group. I wised up. I waited for the UHQCD release for the CoCo compilation. Just ordered it yesterday from CD Japan. Oh I got the enhanced CoCo album too !~! So great when they remaster beloved idol collections and appropriately my CoCo post is over halfway finished!! Oh, yes, Diamond is a great song. I wasn’t sure what was going on with the Theatre-in-the-Round. I would still love to see it even f I couldn’t understand a lot of it. The song is wonderful. Like the others it pulls at my alternative selves in the multiverse. Ha. I could not wait to play “Sensational Wind” again while I have that first cup of coffee. Forget instant coffee. I brewed a Starbucks Sumatra. Forget “Instant Karma” Mr. Lennon, this music video is INSTANT HAPPINESS. I have to watch “Deep Breath” in a small window, while I have work open in other windows. You know what’s funny? Me trying to look like I’m not really paying attention to it when my wife enters the room. For years a few friends of mine would debate on whether this was an actual Ribbon musical tied into their own songs or if it was of another story-line out there. Still makes me smile though just seeing all of the wild costumes and drama take place in that ring of theater =). Haha yes have the good stuff~*~~* in the morning! I love Starbucks’ iced coffees, it’s been getting much warmer here so I’ve gone with the iced brew lately! Your play on words with a John Lennon classic made me smile too ….one day I actually heard his song playing to a NIKE cm years ago, it was sort of surreal ….in a good way. “Sensational Wind” is definitely one of those feel good songs if there ever was one …play, rinse, repeat as necessary!! Sorry I just got out of the shower and had shampoo on the mind =D. Aww it’s innocent enough with just a “bit” of wet idol sexiness …haha that just sounded dirty* =O. “S-Wind” and coffee day 7 straight days now I think. If you go outside and hear some big grating sound coming from the mainland, that is just me gnashing my teeth. I was on YouTube, found a user who had a long Ribbon playlist. Clicked on “Deep Breath” etc, got “Owned by PONYCANYON – not available in your country” on all of them. Cling on! =) not to be confused with Klingon =P. I do own Ribbon’s complete discography, so maybe I could do something special with all of their albums for next Friday? I could mp3 their songs album by album, just an idea as I’m never sure if anyone actually listens to them on the site as WP doesn’t keep track of mp3 plays, they only keep track of video plays. What do you think of the idea? Super! I’ll just have to figure out a way to work my desktop computer in the car until my Ribbon CD arrives. Hi Denny! And because I have this knack for needing to do things all the way, I’ve decided to add all of Ribbon’s album booklet scans so I’m not going to post their songs up until then. I apologize so much and plan to have it completed hopefully by next Friday’s Idols Unzipped ♡ post. Nice. I received my ribbon CD on Tuesday. No “Sensational wind” on it however however. You will get to hear how great the new re-mastering will be with those new headphones. Sounds will be heard that have not been noticed since the recording studio. I did find a YouTube user that posted a number of live performances, and S-wind is one. That’s wonderful! So awesome that amazing J-music from yesteryear gets so much love online. If you’d like the mp3 maybe there’s a way I can get it to you, not sure how but perhaps you’d know a way? A “friend” of mine who I don’t know the name of once “heard” of a way to create mp3 from YouTube videos “theoretically”. Oh but I do own all of Ribbon’s albums and singles so I could create an mp3 easily, but can you really send such a large file in an e-mail?…. may be the dumbest question you hear all day xD. They STUN in that last shot in “Do You Remember Me”. It is hard not to think about that when I’m driving around playing the CD. I don’t have any tattoos, but I might have to get one for this post’s URL. I have kept my S’ensational Wind streat going. I still have to have it everyday. Even when I could not access this post, I still play the song on my cell phone. The song does not start until 2 minutes in. In my delirium I was able to meta-physically transport myself into the music video. At time 5:33 there is this crazy-guy flailing his arms around in the center-right side of the screen. That is me in disguise. When I fall in love with a woman. I think that she gets more and more beautiful everyday. Denny, you and I share~♥ so much of the same tastes in music!! Great post, it is getting increasingly more difficult to find info and videos online about these groups. 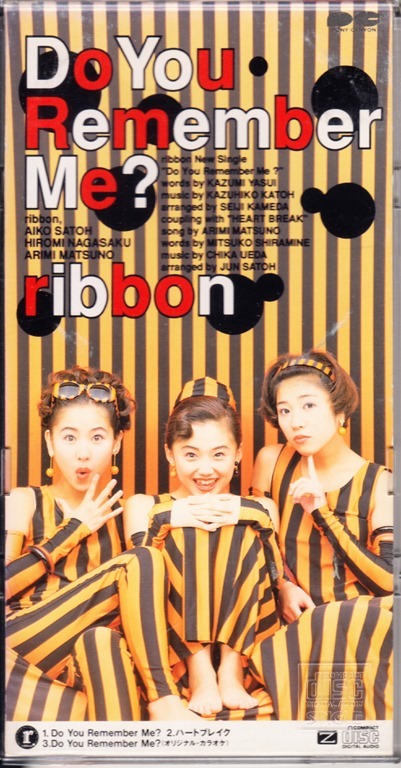 Is the ‘Ribbon Discography’ something that is still issued on DVD or has it long since gone out of print? (Like all these things it seems). There are four photobooks that I am aware of that Ribbon released (or are there more?) missing from your comprehensive Ribbon collection. The first photobook, a rather less quality looking release, contains profiles from what I assume are other Otomejuku members at the time of its release (1989). There is a profile of Sachiko Imai contained within, as we know ended up in ‘Qlair’, another great group of the time. One of the later photobooks (1993? ), called ‘Vitamin’, is a high quality photobook. It has a hard cover acting as a folder, when opened it has three separate books, one for each member of Ribbon. The other two are the typical format hard cover photobooks with a large amount of great pictures, I found those two for 200 Yen each in Bookoff!